The following are detailed specifications about the Outdoor Wall Light in Hammered Bronze Finish. 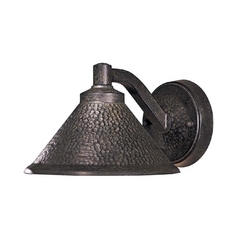 This outdoor wall light features a traditional, rustic styling that brings polish to your home's exterior. 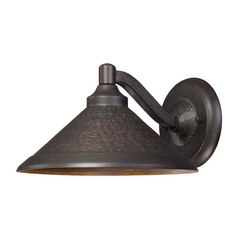 Light the way for guests by displaying the fixture on your porch, or illuminate your back patio with a welcoming glow. 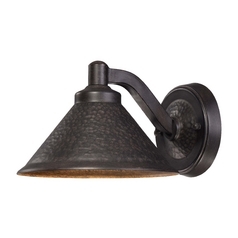 With its classic lamp shade silhouette and subtly textured design, this outdoor wall light offers rugged sophistication. 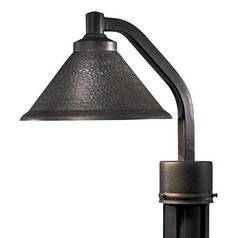 The durable design is suitable for damp locations, offering extra convenience in changing outdoor conditions. 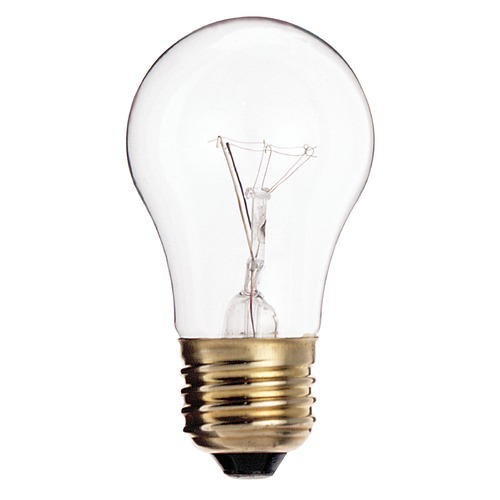 The fixture requires one medium-base incandescent light bulb of up to 60-watts maximum. 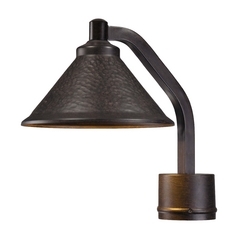 This Outdoor Wall Light in Hammered Bronze Finish is part of the Kirkham Collection from Minka Lavery. The following items are also part of the Kirkham Collection.